The newly renovation Chatswood Hills Tavern is the perfect place to enjoy a day or night out at with friends. Our bistro menu, inspired by classic pub favourites and various cultures influencing the Australian food scene, is jam packed full of flavour and paired perfectly with an extensive wine, craft beer and cocktail list. The Sports Bar, and Lounge Bar offer a great range of tap beers, and are are a perfect spot to catch our extensive televised sporting coverage, live entertainment and are great areas to relax in. Functions can be hosted in our Sports Bar, Bistro or on The Terrace. Our bistro offers a spacious relaxed area great for celebrations. Our friendly staff will be happy to assist you with your function enquiries. We’re ready to welcome both our locals and visitors alike. If it's a venue with a friendly atmosphere you are looking for, then look no further. Our spacious bars at The Chatswood are well stocked with an excellent range of tap beer, bottled beers and spirits and a varied wine list. The Sports Bar is decked out with full TAB facilities, pool tables and BIG screen projector to catch all the live sporting action. Our Lounge / Bistro Bar services our bistro, gaming and terrace areas is a truly beautifully designed open and relaxed zone with a brilliant cocktail menu. With so many great bar areas to meet with friends, catch up on the latest sports action or just unwind over a game of pool, it's no wonder our Hotel is a favourite destination with locals and visitors. 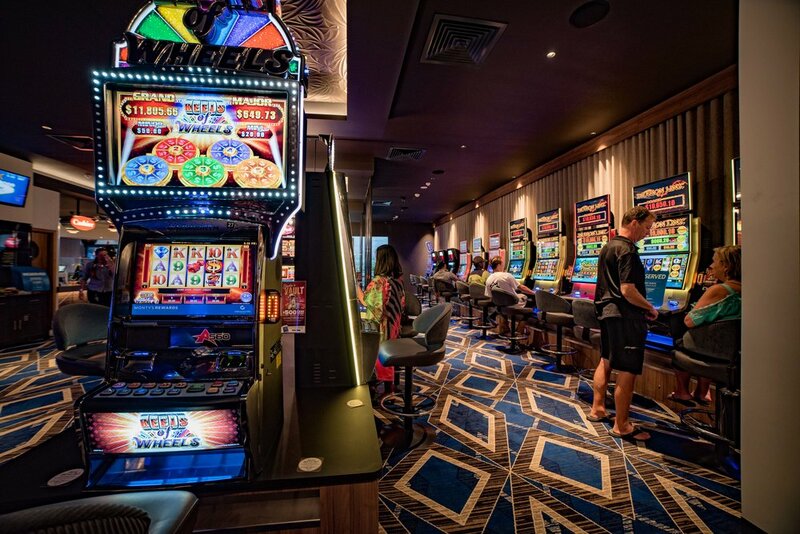 TOur Gaming room features 35 of the latest gaming machines, Keno terminal, and link jackpots including Lock-it Link, Lightning link ($10,000+) and Dragon Link ($10,000). With exceptional service, and plenty of major promotions, we're the place to be. We have the latest Ticket in Ticket Out system operation on 100% of our machines allowing you to move quickly and easily between machines. All of our machines pay up to $5,000 as a ticket so there is no waiting for for your cash. To add to your experience we provide complimentary soft drink and coffee for machine players. For those who would like something else, we also have an easily accessible Gaming Bar with a wide range of drinks and snacks available. Our comfortable Keno lounge area is ready for you to watch your numbers come up and play along with your friends. Join our Monty's Members program to get points, discounts, all the latest updates, birthday offers and most exciting bonus points from our unique U-Spins. We offer extraordinary service and always with a smile hoping to provide you with the best gaming experience around.